Speed rewards athletes with full-ride scholarships and big-time paydays. Some are born with it; others have to earn it. Use these tips to get there faster! For many, the "bigger" and "stronger" parts are easy enough. But, as a strength coach to hundreds of pro athletes, one question that is consistently asked of me is: How do I get faster? Speed is crucial to achieve top athletic performance, but it remains a mystery for many otherwise impressive performers. Well, I'm here to say you can dramatically increase your speed, as long as you apply the same dedication to it that you do to your other fitness goals. As renowned coach Tom Shaw put it, "You can gain speed, just as you can gain strength in the gym." You just have to know the right way to do it. Here are my top five tips to achieve blazing speed and run like a pro. Before every training session, warming up is a crucial step. Make no mistake: When it comes to sprinting, failing to warm up could lead to major injuries. 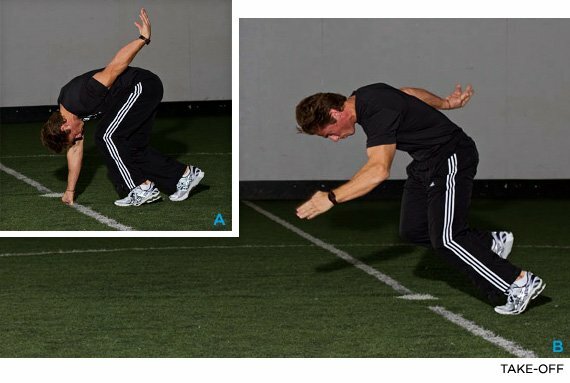 The last thing an athlete needs is to be out of the game for weeks or even months simply because they failed to complete this vital step. A proper warm-up gets the blood flowing, delivers important nutrients and oxygen to the muscles, and delays fatigue so you get the most out of your training session. I recommend a dynamic warm-up lasting 10 minutes, including moves like skipping, take-offs, or an easy jog. Speed increases can only be achieved when each of these areas improves collectively. Interval training, and more specifically, A and B drills, are the best way to improve these three areas. There are many variations on these drills, but what they all share is that they isolate and rehearse the essential motions making up a full-stride sprint, so you can perfect the whole process and repeat it in action without having to think about it. A Drill: An A drill is like a march done at sprint pace. You take short, quick steps, emphasizing fast turnover, getting the knees high, and cyclical leg action. This forces your stride frequency up and maximizes balance and coordination. B Drill: In B drills, you get the knee high again, but then extend the knee forward and claw back at the ground. This mimics the motion and ground feeling of a long stride. Both are usually performed in 15-20-yard blasts or more, if you can work up to it. Combine A and B drills into a 15-20 minute series, like in the 40-yard-sprint section of our NFL combine trainer, and you'll test your anaerobic endurance to boot. Developing a high level of maximum strength is crucial to increasing speed, since it's the foundation from which all necessary strength qualities are built. Without proper body strength and flexibility, you'll never reach your full potential. A strong core helps with posture and endurance, strong arms help you pump faster (therefore increasing speed), and powerful legs are the heart of your muscular "power center," namely the hips, glutes, quads, and hamstrings. Start with a strong focus on your core with a series of planks and side planks. For arms, use a combination of compound and functional exercises, such as hammer curls with heavy weight and fewer reps. This is the best combination for sprint training. Leg strength is critical because it increases the force with which you push off the ground. A weak sprinter won't be able to produce the amount of power with each step to reach his/her true speed potential. Deadlifts, squats, lunges, step-ups, and power step-ups are all great exercises to increase leg strength. Power and speed go hand-in-hand. As mentioned earlier, the amount of power you release directly impacts the force with which you explode from the ground, thus increasing your speed. But, explosive strength requires more than strength training. 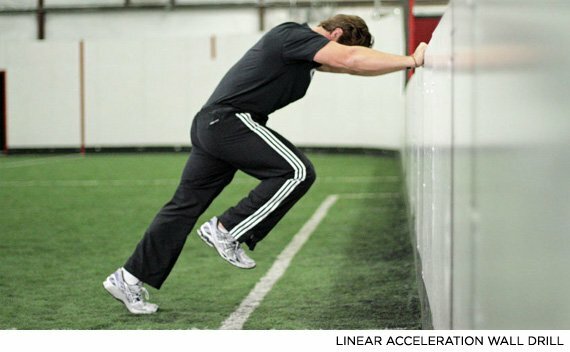 Explosive strength exercises are designed to achieve maximum force from a paused or stopped position, such as sprinting out of blocks, or across the line of scrimmage. These exercises add to the strength you build with regular weight training, which takes speed training to the next level. Great examples of explosive strength exercises are box squats, paused jump squats, and on-box jumps. Power through your plyos! Improving speed endurance can be the key to gaining that all-important competitive edge. Speed endurance is the ability to maintain maximum velocity or a percentage of maximum velocity for a prolonged period of time, or in a fatigued state. Outlasting your opponent by avoiding fatigue can often be the difference between winning and losing. The best way to achieve maximum velocity is to implement interval training specifically designed for speed endurance. 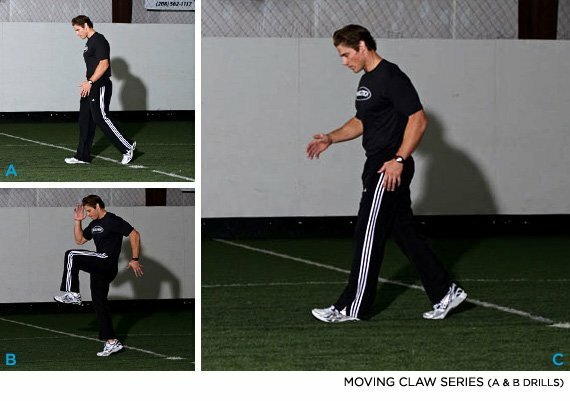 This technique differs from regular speed training, in that it employs varied interval lengths and shortened recovery times to prevent complete recovery. A good rule of thumb is to keep a work-to-rest ratio of 5:1. Like all training goals, achieving optimal speed takes dedication, time, and hard work. By following these five tips, we guarantee you'll get there "faster."